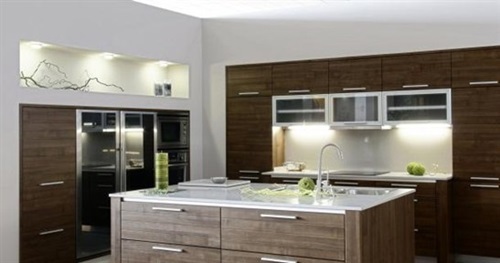 Your new kitchen is considered nowadays as one of your home’s important multi-functional rooms because it can serve as a dining and food preparing room. 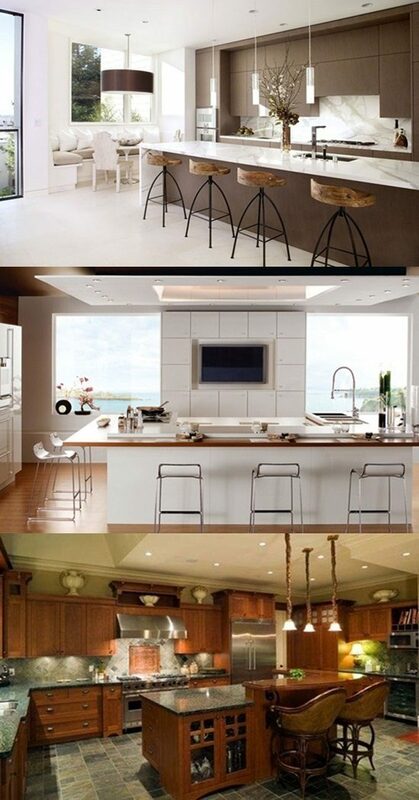 That’s why you should design every part of your kitchen including the ceiling in an elegant and aesthetic way. 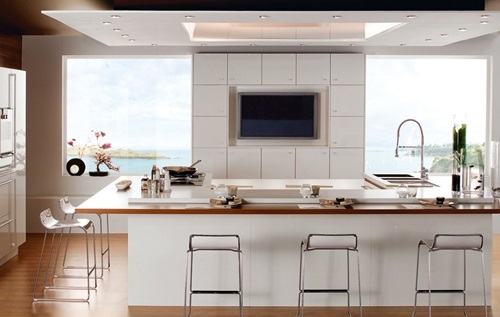 Designing such a ceiling will depend on the style and the space of the whole kitchen in addition to your budget. 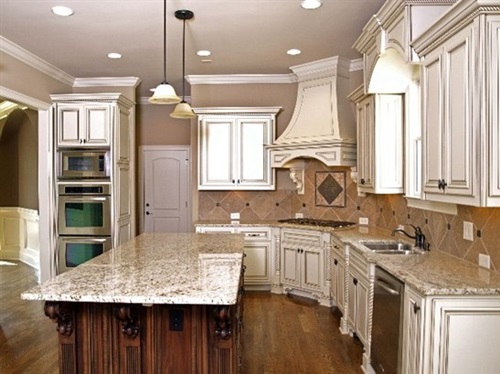 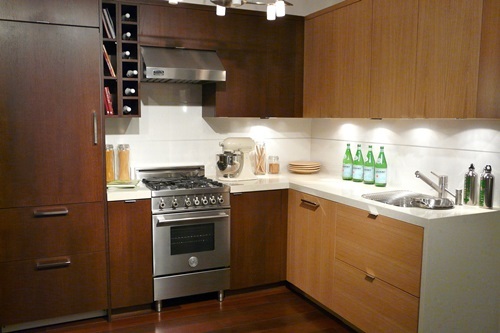 Your kitchen ceiling can be made of different materials such as aluminum, metal, plaster of Paris, or wooden tiles. 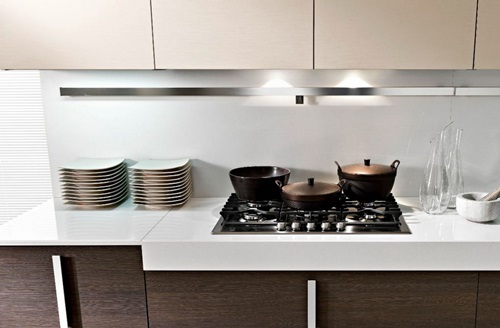 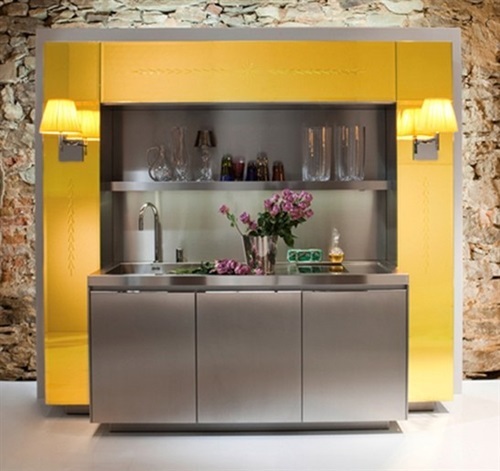 The aluminum ceiling will go with the traditional looking kitchen because it is durable and shining all the time. 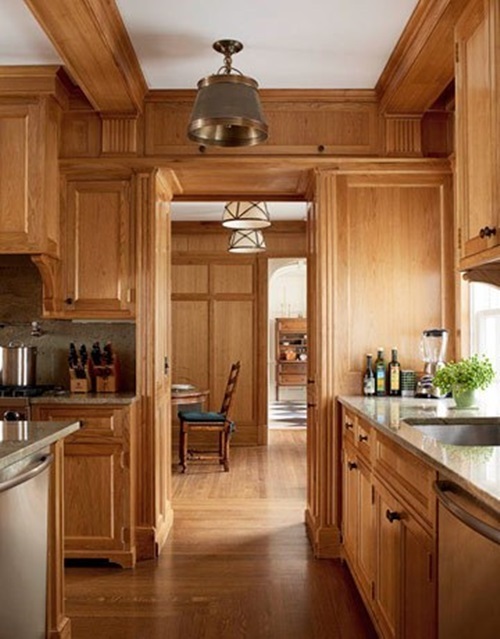 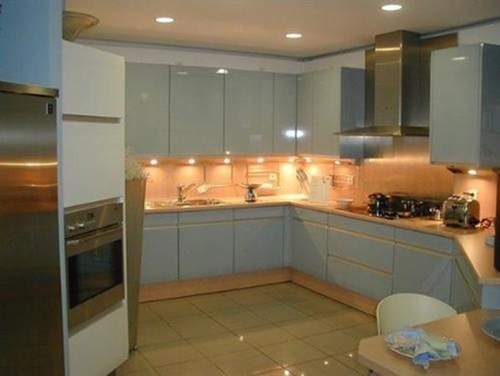 You can get the aluminum corrugated sheet with different finishes, colors, and textures to increase the aesthetic look of your kitchen or use the aluminum ceiling to serve as a kitchen conditioner because it reflects the sun rays to keep your kitchen cool.The traditional styled kitchen can be decorated also using wooden beams or coffered ceiling. 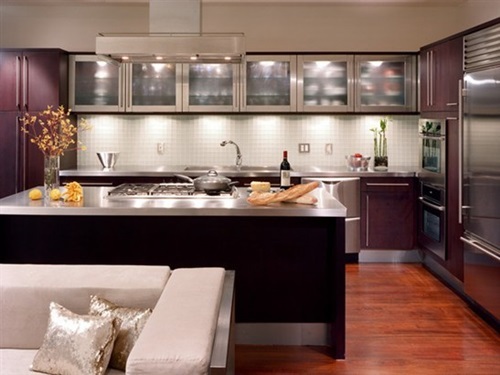 To get a modern look, you can opt for the patterned ceiling that will match your wall and floor designs. 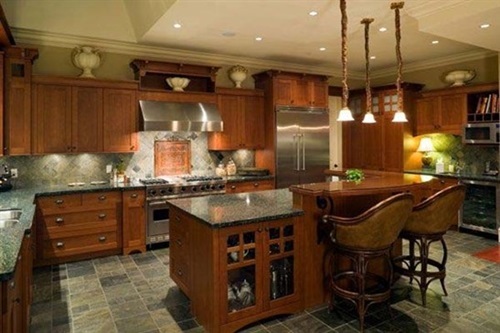 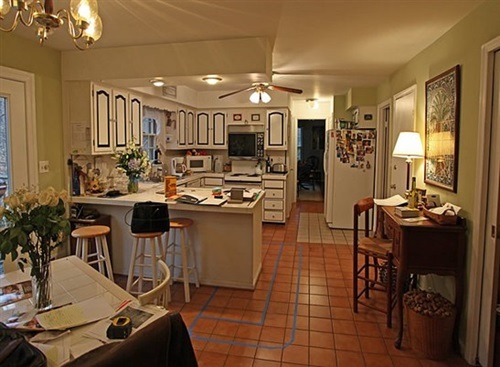 Your large kitchen will look luxurious with the dark colored vaulted ceiling because it will give a spacious and airy look to the whole place. 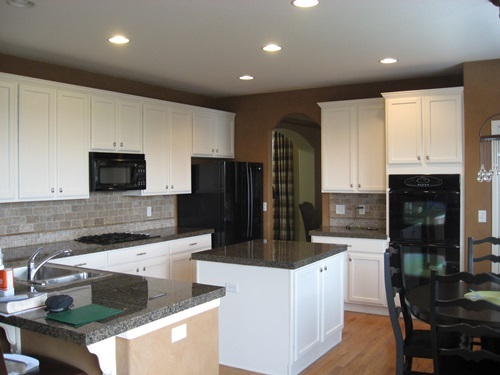 The tin-look ceiling tiles will go with the contemporary looking kitchens because it can be paint to match or contrast the colors of your kitchen in an elegant way. 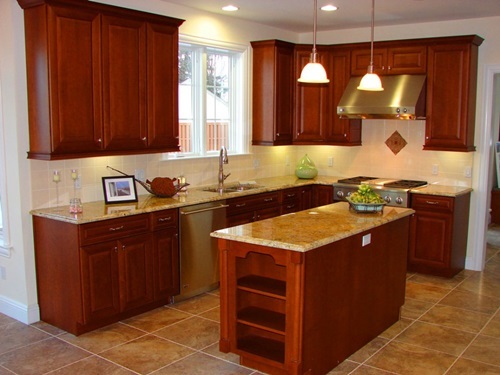 These tiles may be made of vinyl, mineral fiber, or metal. 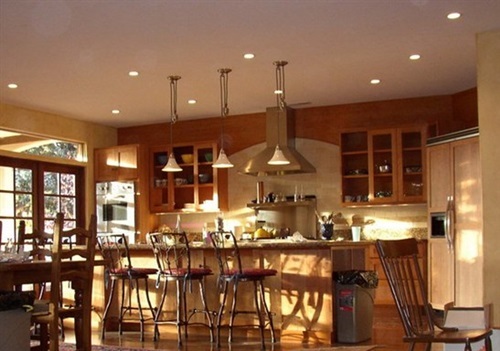 You can add different kinds of light fixtures to your ceiling such as the ambient, task, and mood lights that will match the colors and designs of your kitchen. 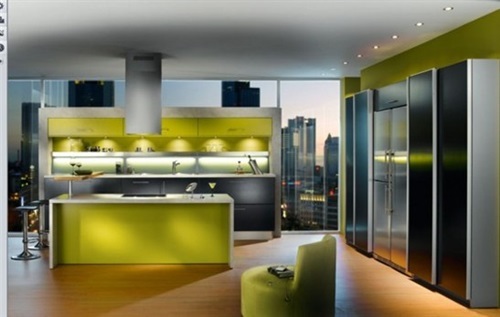 You can decide the kind of your lighting according to the amount of brightness you will need in your kitchen or above a certain area. 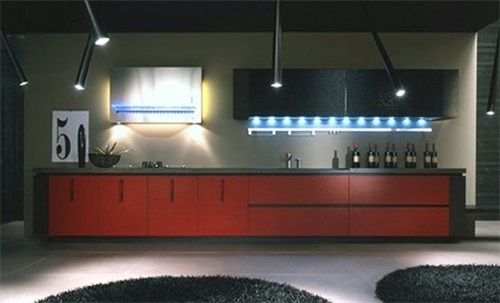 The task lights can be installed above your Kitchen Island, countertops, or sink to provide you the brightness you need. 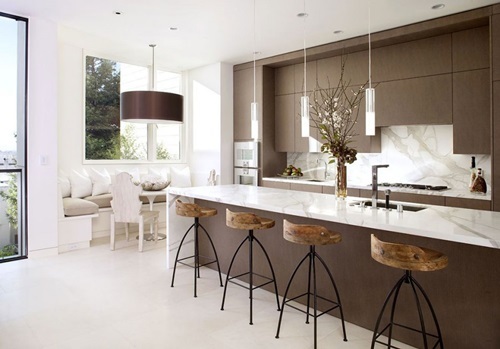 The big spaced kitchen will need round fixtures or a big chandelier.